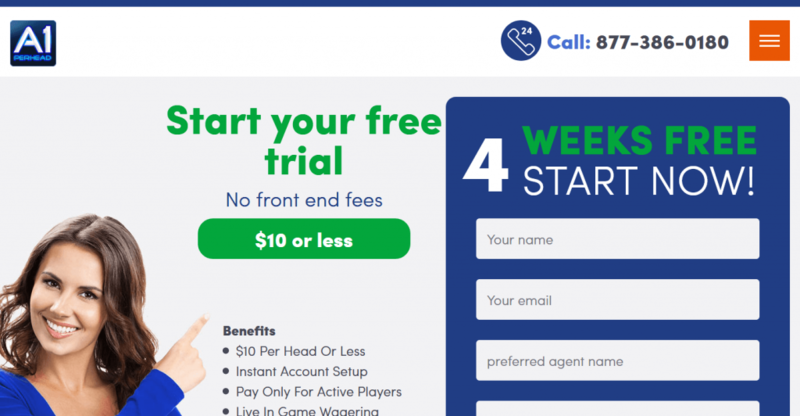 You have your option when it comes to picking a pay per head (PPH) service, but choosing the right one, especially when it comes to soccer betting, may not be very easy. Besides software of the PPH site and the bets they offer you need to look at a few other things. You have to pick the right PPH service so that you can make the most money possible from the customers that you have making wagers through you. In terms of bets, soccer is a sport that has no lack of them. Besides the basic line and total of a soccer match, there are many other bets that are available such as a handicap, proposition bets, futures, parlays, the and the Asian handicap to name a few. There are so many soccer bets to make and so many leagues to bet on that finding the right PPH service is vital when you have customers that wager on the beautiful game. You make money on every single bet that is made through you and it doesn’t matter if it is a winning bet or a losing one. The best PPH service for your soccer betting needs is key when it comes to putting money in your pocket. Whether you already use a PPH service or you’re looking to start I want to show you why 247 PPH ranks highly in the offshore bookmaking industry. Launched in 2005, 247 PPH has developed a great bookmaking software suite. It has a ton of features, is completely secure and allows almost unlimited customization. Upon signing up to 247 PPH you’ll receive two weeks of free service. This gives you time to go through the software and I’m positive it’ll exceed expectations. After the free trial period you’ll be offered a payment plan that starts at $10/Head. The price lowers if you have a sizeable player list. Contact a rep at 247 PPH for more information. Apart from convenience, one of the main reasons someone chooses a PPH provider like 247 PPH is because they can customize everything from the lines to unique player profiles. You can choose to use the odds set by 247 PPH or you can change the line for a specific event or even just for a specific client that’s been winning. As the bookie you’ll spend a lot of your time analyzing the player management report. On this report you’ll be able to view information on your players plus on any agents you have operating for you. You can view the available balances, money at risk, wager balances, maximum wagers and credit limits. These features can all be customized to your liking. For a quick view of what you have at risk you can use the agent exposure report. There are also some tools that you won’t find on some software suites such as a player payment manager. Simply input how much you’ve given out on credit to a player and as they pay it down you input the amount and the total will automatically update. All of the backend tools are great, but I’m sure you’re wondering about what type of markets you’ll be able to offer your players. 247 PPH is the best option if you players bet on football. Every week there are hundreds of markets to bet on for the NFL and CFB including a huge range of player/team props and multiple teaser options. There are a lot of other sports that you can offer your player base as well ranging from all of the major US sports like the NBA to over twenty soccer leagues around the world. You can decide what markets you offer your players, but the more options you offer the more likely you are to make money on markets with big bookmaker edges. Some of our clients simply use the sportsbook software for their player base, but at 247 PPH every client will have the choice of adding a racebook and/or casino to their website. The racebook is a nice feature for every level of bookie, but you should restrict certain bet types from the software to ensure no one can hit a huge payout. All of the financials from the week can be viewed on a nice report. Here you’ll be able to view settled figures, agent adjustments, payments and much more. 247 PPH takes your business online and offers you a robust platform that’s used by hundreds of bookies online today. One benefit of a PPH service is that you can remain anonymous online. There are no minimums or contracts at 247 PPH. Simply pay as you go each week and increase/decrease your player base however you wish. If you’d like to contact a rep at 247 PPH the best way is through telephone (888-274-7630). The reps all speak English and they’ll be glad to help set you up or answer any questions you may have. A1 PPH is more than just a PPH software provider. Not only will you be able to use the robust software to increase your business, but you’ll be able to utilize the experience of the A1 PPH team as well. They have technical support, customer support and lines managers on staff to help you run your bookmaking business. All new accounts will receive four weeks of absolutely free service to test out the software. You can set-up accounts for as many or little of your players as you wish during the free trial. After the trial period ends the cost is $10/head, but that number decreases with good volume. You’ll also only pay the price per head for active bettors each week. If you’re moving your business online or just starting out you have to have a complete solution. A1 PPH has been in the industry for close to a decade now and have a lot of bookies under their umbrella. Your players expect the best and won’t settle for less when there is so much competition in the offshore bookmaker business. 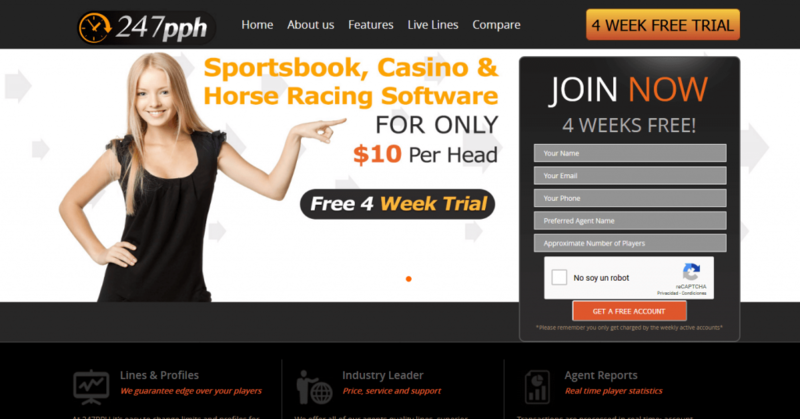 To start, A1 PPH provides bookies with the ability to run a sportsbook, racebook and casino on the same website. This is beneficial to bookies because their player base don’t need to play anywhere else. As long as you handle payments quickly your players will have zero reason to switch to a competing sportsbook. Before we talk about the backend tools let’s talk about what your bettors will experience. A1 PPH has line managers that set lines on hundreds of markets daily ranging from the NFL to the AFL. As the owner you can customize lines as you wish, but you can also sit back and not worry about setting lines if you prefer a hands off approach. A1 PPH will have lines on all major sports including the NFL, NBA, MMA, MLB, NHL, soccer, tennis and golf. The bet types are expansive as well. Your clients will be able to place point spread, money line, over/under, props, futures, parlays, teasers, if bets, round robin and much more. You can offer the option to offer open spots on bets as well. The software suite is easy enough to use out of the box for everyone, but for bookies that want to take on a hands on approach there are numerous tools and reports at your disposal. Every single bet is tracked within the software and can be easily called up at anytime in the future using simple reports to breakdown the information easily. You have the opportunity to set-up line profiles for players based on a multitude of filters. If you deal with agents you can call up reports on your agents status 24/7 plus you can also view information on any sub-agents they may have on the software. Keeping tabs on your growing business becomes difficult when you don’t have the tools you need. Another benefit of using a proven PPH provider like A1 PPH is reliability. Your website will never go offline and your player base will be able to bet anytime they want by simply signing into their account. If you’re looking to take your business to the next level A1 PPH will be glad to assist you during your growth phase. Contact A1 PPH today to find out how they can help you now. The best method is telephone (877-386-0180) although they also have email support. A1 PPH will set-up your entire player base with accounts. The company aims to help out bookies that want an online presence and that want to grow or are currently growing. When you shop around for the best PPH service for soccer betting or any sports betting, the price of that service is something you have to take into account. You will pay for the service, but with so many of them out there online today, do not just jump on the one that is the cheapest. Often, when it comes to PPH websites you get what you pay for. Find a PPH service that has all the soccer betting options that you need as well as one where you are comfortable with the price. Often, the services will pay for active members and this is important to know in dealing with the people that will be looking to make wagers through you. Many PPH services are affordable and will have all the soccer betting options that you need and by doing a little homework you can find the one that is just right for your needs. One vital thing to look for when choosing a PPH service is to see if they have a solid software platform. Picking a service with a good software platform will make it more likely that they will offer all the soccer betting options that you need to offer your players. Also, it is a good idea to pick a service that gives you access to 24/7 accounting reports in order for you to stay in tune with the money that you are making through the website with people wagering through you. In soccer betting, you want all the betting options available, and more often than not, a PPH service with a good software platform will give you just that. You want to give your players the most betting options possible sop you can make the most money. Therefore, you have to see which PPH service offers all the soccer bets possible so that you and your players will be satisfied with the options available. As stated before, there is no lack of soccer bets and you should make sure most of them are available for your players to give them the chance to make as many wagers as possible. Live betting is very popular these days and you could lose out on money by not picking a PPH service that offers it. Live betting allows players to wager on a soccer match while it is going on and with all the live bets that can be made you are really losing out by not making this betting option available to your players. Also, mobile betting, which is betting on a mobile device or tablet, is very popular and that is another betting option that you have to have with your PPH service. A couple of other things to look for in a reputable PPH service is 24/7 customer support and bonuses and promotions. You want your PPH service to offer 24/7 customer service support so when your players wager on soccer they will have their questions answered in real time there is no delay when making bets, which puts money in your pocket. Also, PPH sites will offer their customers bonuses and promotions to use them and if you can get some free loot why not do so?